Slocan Valley resident Jane Flotran takes her turn at the microphone in Winlaw on Tuesday night. Tuesday night’s public information meeting in Winlaw provided many first-hand accounts of how the jet fuel spill affected residents. Tuesday night’s public information meeting at the Winlaw Community Hall provided many first-hand accounts of how the jet fuel spill in Lemon Creek has turned lives upside-down. Few were more compelling than that of Jane Flotron and her family. Flotron was one of the first speakers to address the panel of officials assembled to provide information and answer questions. With the packed hall behind her, an emotional Flotron calmly expressed her frustration with what has taken place since an Executive Flight Centre tanker truck spilled 33,000 litres of jet fuel into Lemon Creek on Friday afternoon. “I’m very concerned about the health of my family and the health of my community,” said Flotron, who owns a small farm one kilometre from where the spill took place. She went on to tell authorities about how she has spent the three days since the evacuation order was lifted, attempting to rid her home and property of the smells and residual damage caused by the spill. With an 11-year-old daughter and midway through a pregnancy, Flotron said it has been extremely trying. For three days she has worked three hours a day which is the amount of time she feels is safe for her own health. “It’s mostly laundering linens and scrubbing surfaces… by the end of that my hands smell like jet fuel,” she said. Flotron and her husband breed and train horses on their small farm. They supplement that by raising other livestock and growing food. Flotran also has five-year crops of goldenseal and echinacea to sell at markets which she says may now be ruined. Outside the meeting, Flotron told local media she frustrated by the response so far. After being evacuated in the middle of the night Friday/Saturday, Flotron and her family returned to their property on Saturday afternoon and immediately began making phone calls to the RDCK, Interior Health and Ministry of Environment for help. “I got the absolute minimal amount of actual evidence-based information, it’s been a lot of speculation,” she said. 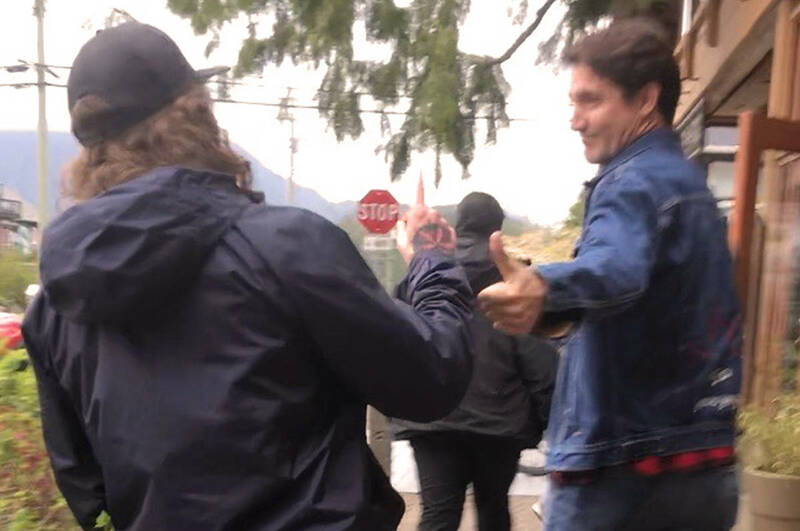 “When I first contacted people on Saturday I was talking to people in Kelowna and Vancouver and Cranbrook, I realized they really didn’t get what was going on. When I shared with them my personal experience, I recognized there is a huge gap in communication and getting that information to the decision makers who can organize direct action on the clean up. Between trying to clean up her property, Flotron said the amount of time she has spent trying to get answers has been an unneeded distraction. “We have to be our own advocates and that is hard to do in the middle of a crisis when you are just trying to get through the day in taking care of a family,” she said. Running out of patience, Flotron said Tuesday night that her family may leave the property and call in a hazmat crew of their own because they feel it is unsafe to be there for much longer. “People have expressed great levels of concern after talking to me and I did feel like they were taking my concerns seriously, but I haven’t heard back from anybody yet,” she said.